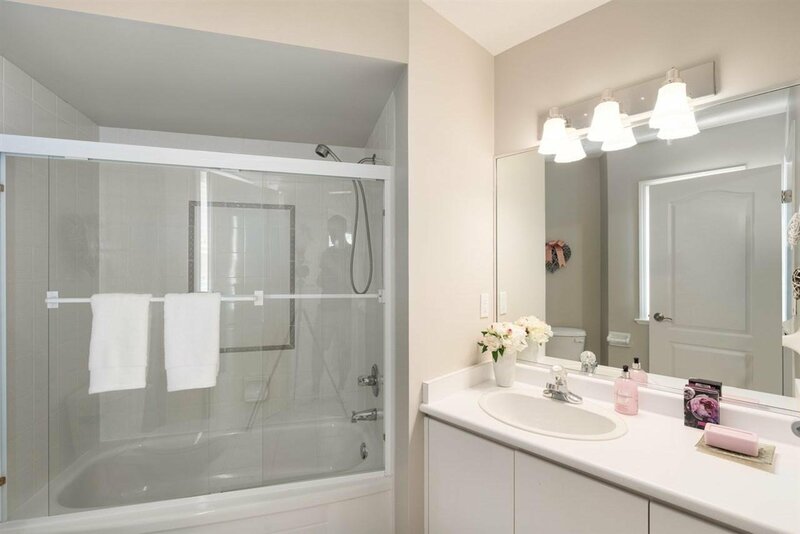 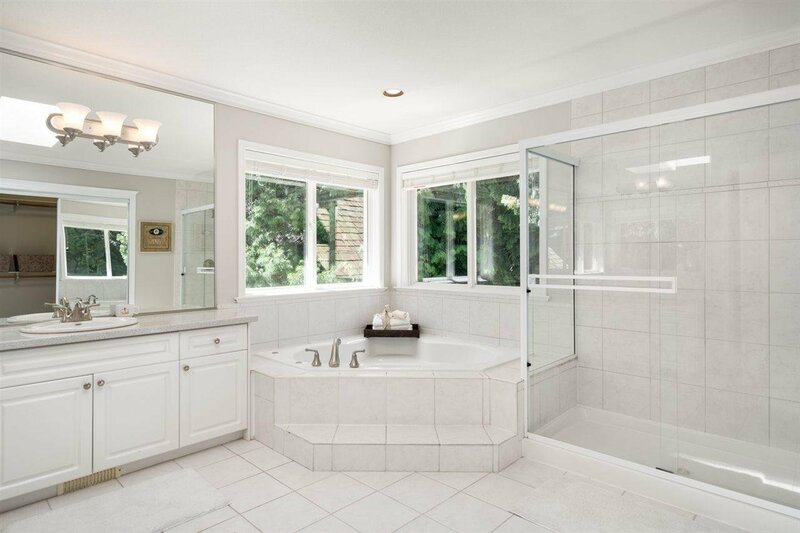 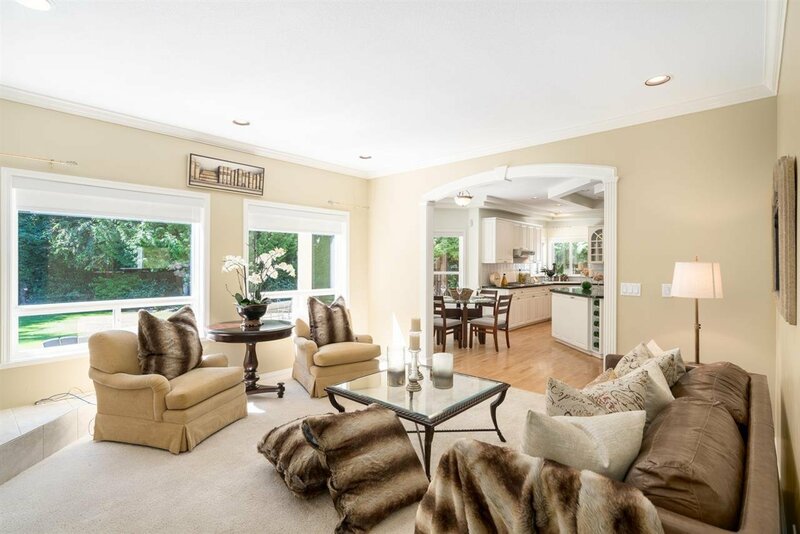 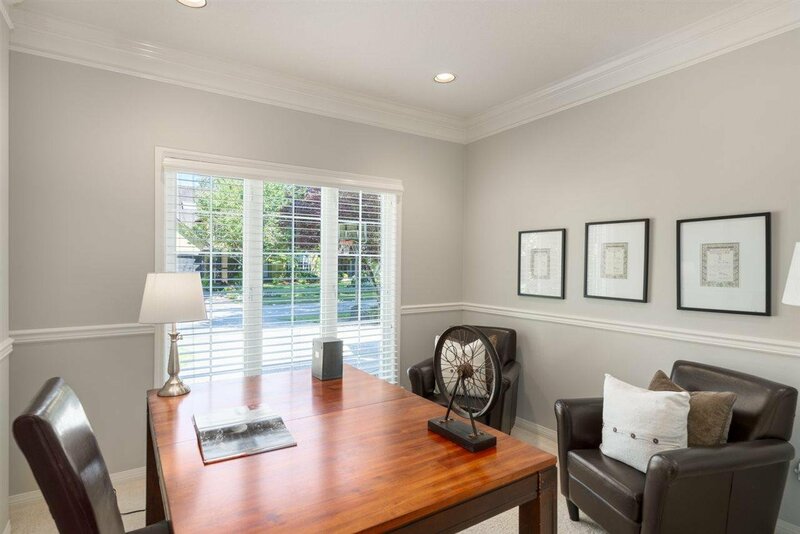 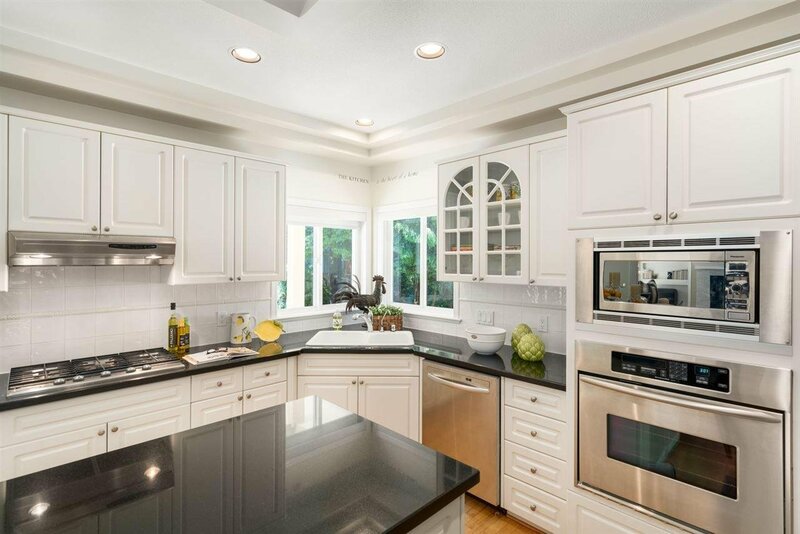 PICTURE PERFECT Family Home in one of South Surrey's most exclusive neighbourhoods. 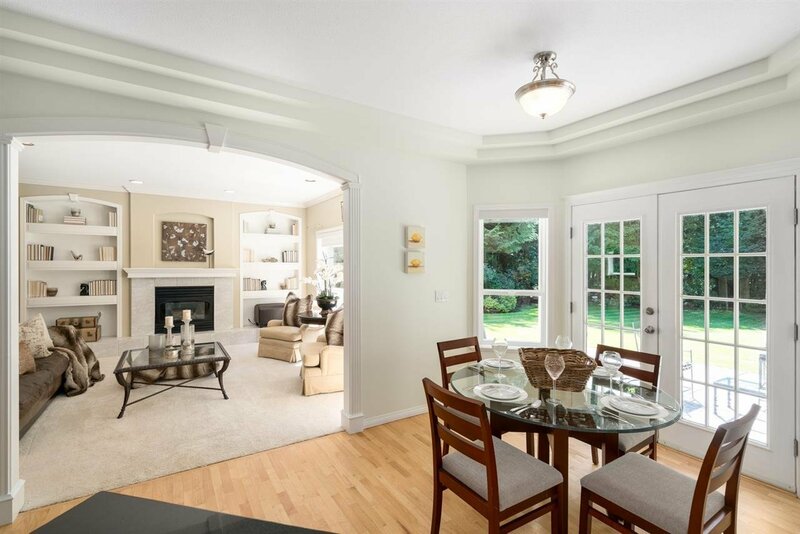 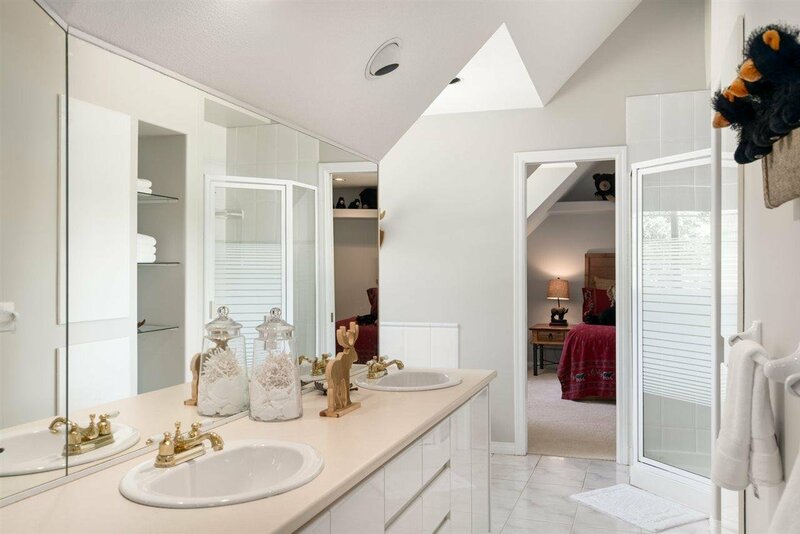 Walking into the charming entrance, you are greeted to 3,722 sqft of gorgeous living space. 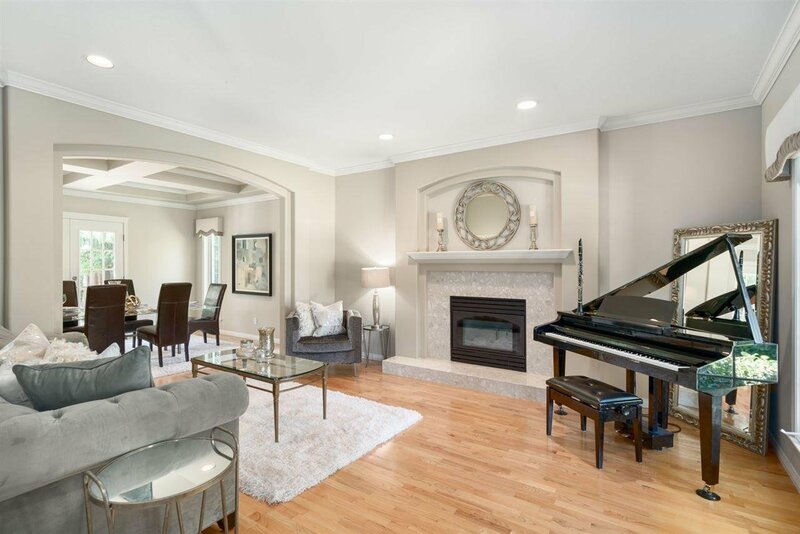 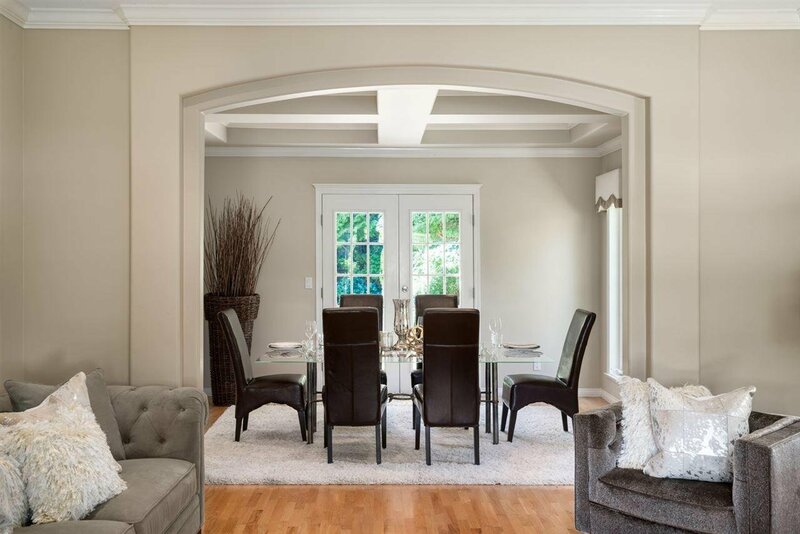 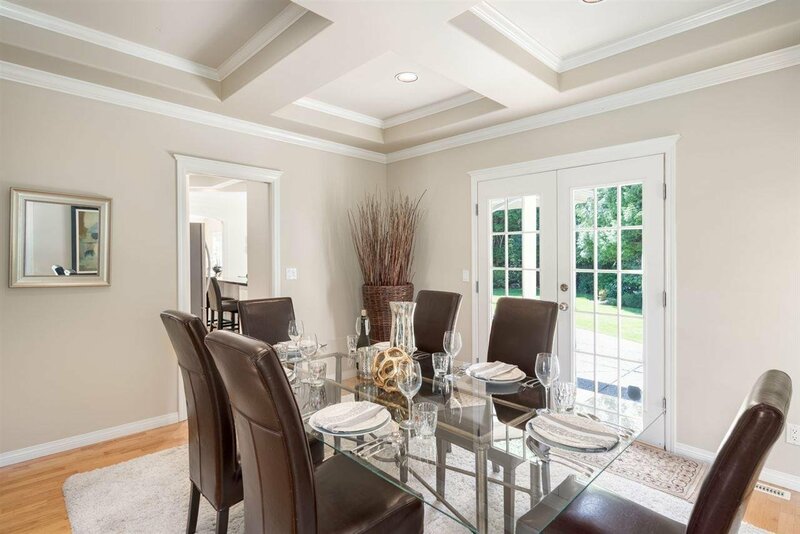 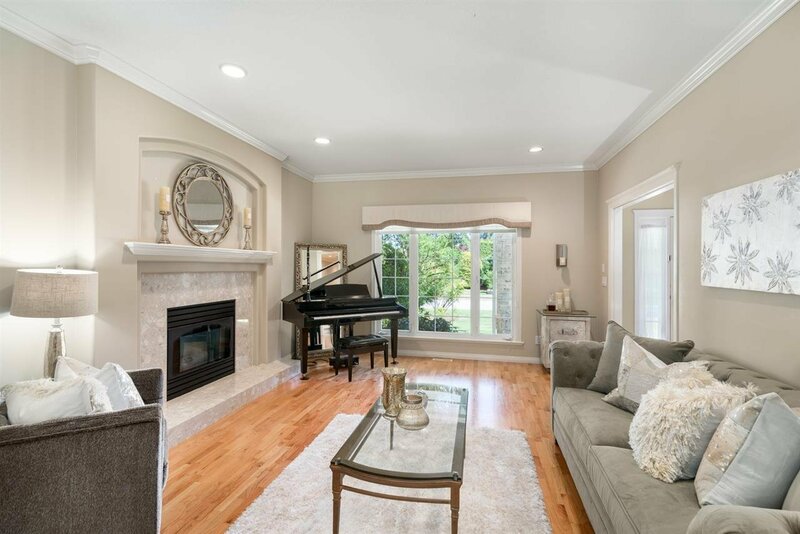 Elegant formal living room complete with space for your piano opens into a classic dining room with French doors to the back yard. 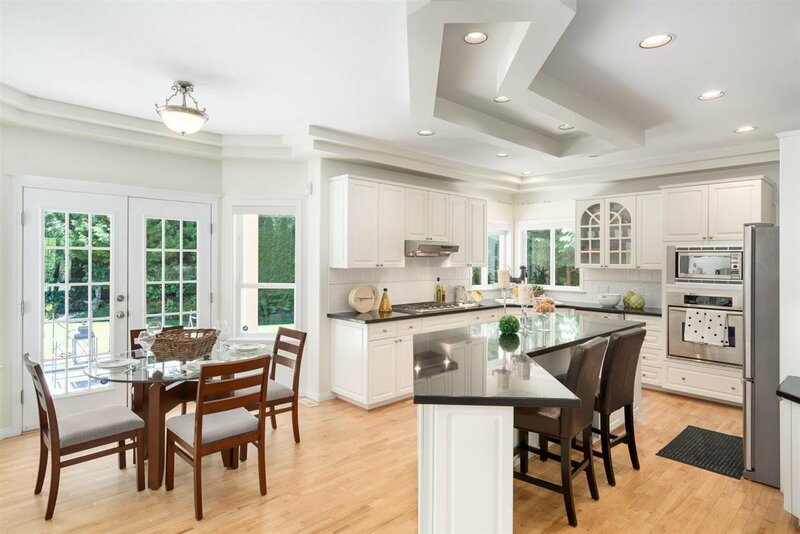 Adjacent Great Room features an eat-in Kitchen with large centre island and granite counters, and opens into the comfortable family room. 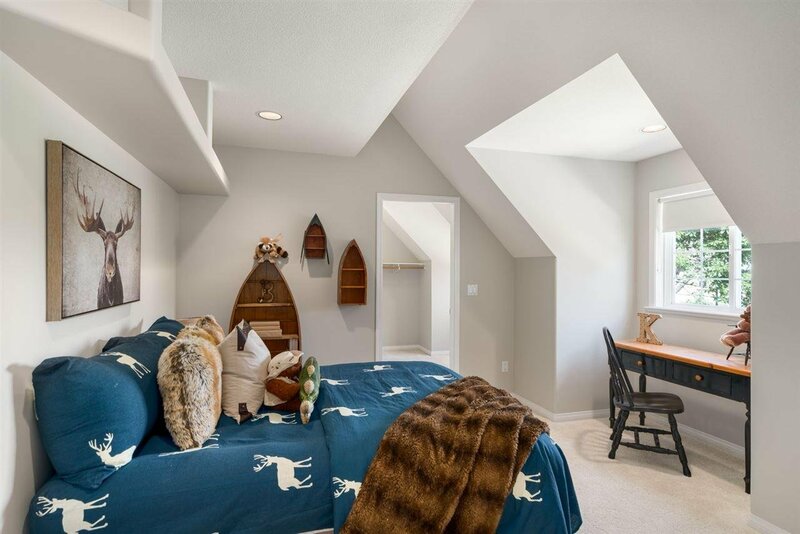 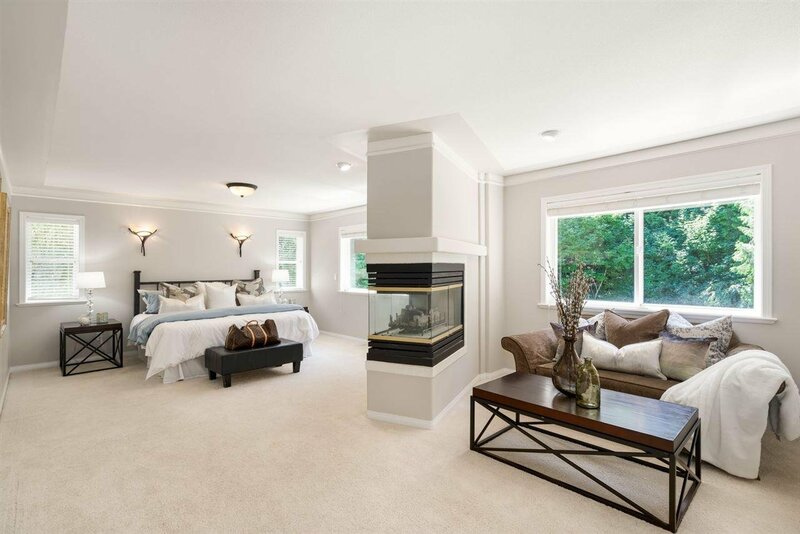 2 staircases lead upstairs to 4 ensuited bedrooms, including the airy Master Suite boasting a fireplace, sitting area, grand walk-in closet and luxe ensuite! 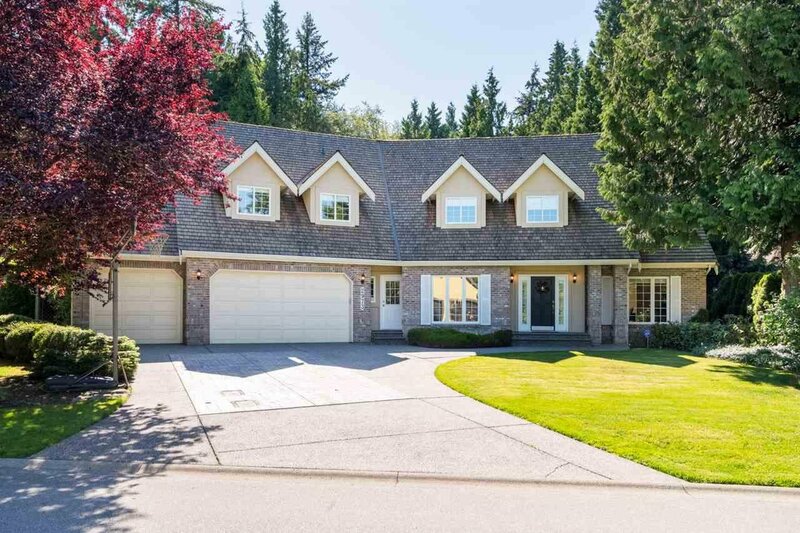 Bonus 3 car garage & office/bedroom on main. 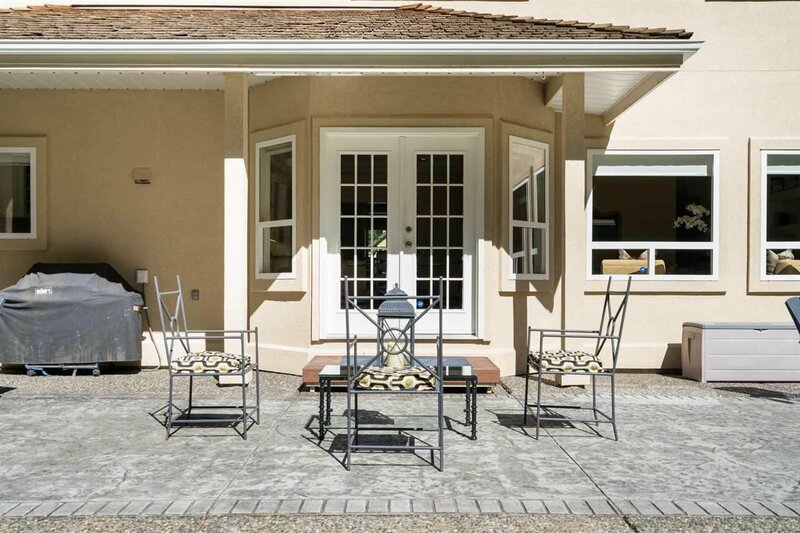 Situated on a pristine 1/2 acre property with Western exposure & PRIVATE back yard with greenbelt views. 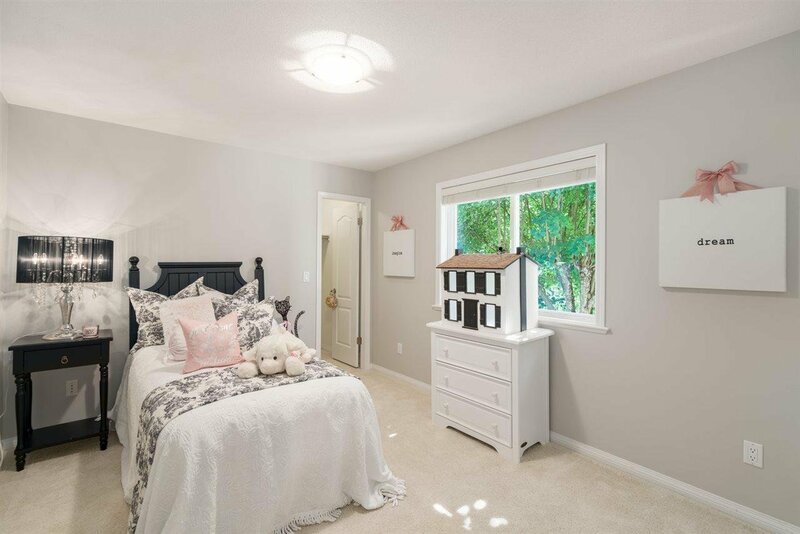 Close to Chantrell Creek & Elgin Park Schools.